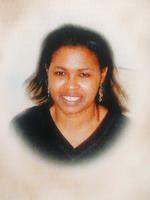 Provide comfort for the family of Marcia Johnson with a meaningful gesture of sympathy. The Johnson family would like to invite all those who are able, to join them after burial from 1:00 - 4:00 pm for a time of fellowship. Donations are being accepted for: CANADIAN BREAST CANCER FOUNDATION. An expression of our heartfelt condolences to Marcia's family.